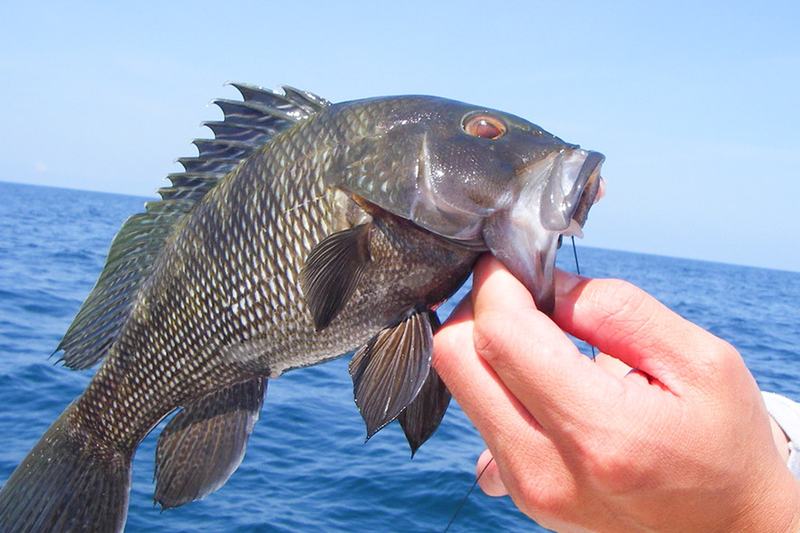 Black sea bass can be found around any underwater structure such as rocks, wrecks, piers and jetties.The larger males are generally found in deeper water. The arrive in May and are around most of the year. Anglers often catch them when fishing for summer flounder (fluke) or tautog because they are often on or close to the bottom. They can be caught with bait or jigs. Visit RI DEM’s website for up-to-date regulations.